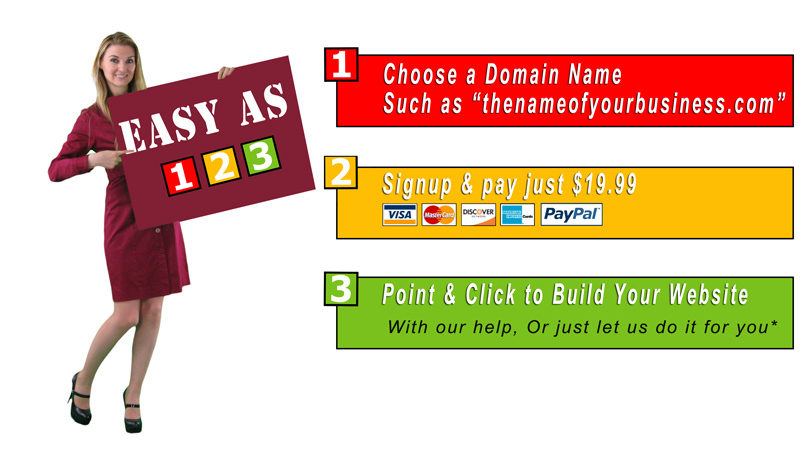 pageBuzz.com Website Hosting - Build Your Own Website Today! If you are confused by all the too good to be true web offers, fancy TV commercials and internet double talk, look no further. We are a small company that has built a huge customer base by giving people more and charging less. We only charge $19.99 per month but we work with each customer on a personal level, to build pages, manage their online business, give marketing and internet advice while providing all the help they need when they need it. You will see us on here on the pages, in the videos and we will be the ones answering the phones helping you. We do it all, so we really do understand what it takes to run a small business. Yes, finally, someone that understands you and what you are dealing with as a business owner. The best part, if you have a questions, you can us a call 7 days a week. Getting your website started has never been easier! Check out a few of these sample websites we have put together to demonstrate some of our features such as shopping carts, car dealer and photo galleries etc. Our couse your website design will be completely unique but you can use the same features show here. 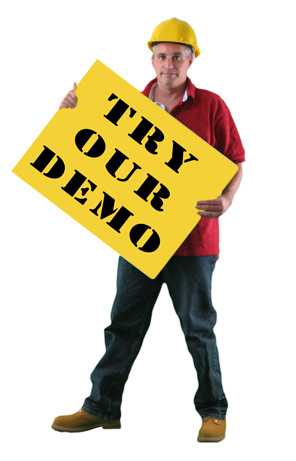 To see all of our sample websites click here. 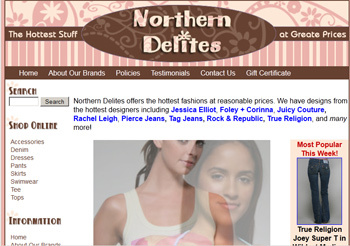 Northerdelites.com shows off one of the standard boutique templates a simple slideshow and online store. 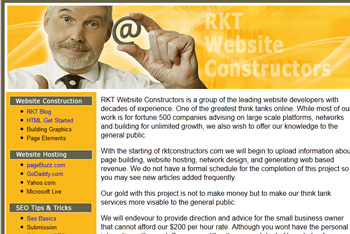 RKTconstructors.com is a simple blog or information article website. 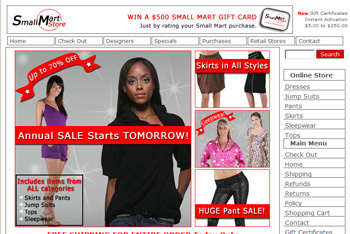 SmallMartStore.com is a very simple but elegant ecommerce website sample using the pageBuzz simplecart. 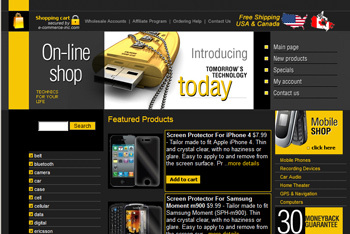 StoreofJunk.com is another great sample of ecommerce using one of our shopping carts. 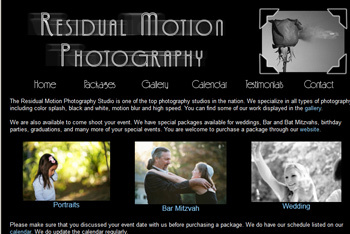 ResidualMotion.com shows off a simple photography website design in black and white. 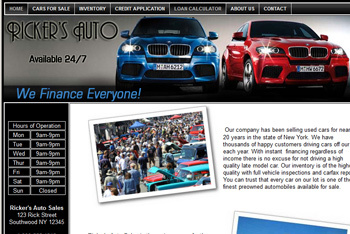 RickersAuto.com is a good example of the used car dealer tools available on pageBuzz.com. 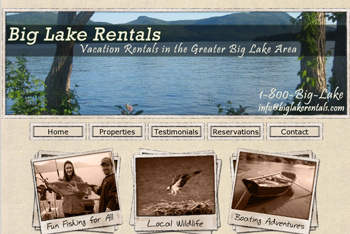 BigLakeRentals.com show a samle of the availability calendar used on property rental websites. 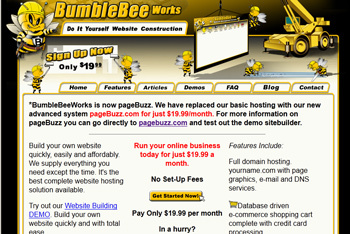 BumblebeeWorks.com was our original hosting website now it is hosted on pageBuzz.com. 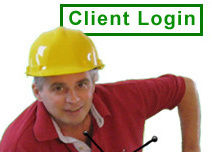 Login and see how it all works. Our fully functional demo lets you use all of the tools to see exactly how a website is managed using the pageBuzz online sitebuilder. Use the graphic and image editing tools, page editors, search engine submission tools, shopping cart, car dealer tools, realtor tools, rental availability calendars, blogs, posting boards, business card builder and whatever else you might find while you are in there. As always, call us with any questions while you using it and we will try to explain anything aything that you do not understand. Does it seem like too much work to build a website yourself? Then let us do it for you. Let us create the design for you from start to finish. We take your content, images, text and information to create a masterpiece that will make you proud to be online. We will design the graphics, build the pages, fill your shopping cart with inventory, integrate your social networks, add your video or other multimedia and even submit your website to the search engines. All you have to do is sit back and look at how great it all works! Call us and tell us what you need and we can come up with an inexpensive plan to get your business online today. There are very few websites that cannot be hosted at pageBuzz.com. So even if you need a websites for services, information or anything else, we do that as well. Check out the website help articles, videos and other programs offered to webmasters, web developers and website hosting resellers. Use the links below to get more information about the extensive features and tools available here at pageBuzz.com. Don't see what you are looking for, just give us a call, we probably have it. Want to know more about how we compare to our competitors? Read the why pagebuzz is better page.